Along the rocky terrain of Mindanao’s eastern coast, in the town of Hinatuan, Surigao del Sur, is a lush 10-hectare community farm that has been cited as one of the model farms by various government agencies, including the Department of Agriculture (DA). Despite the unpredictable weather, which includes month-long monsoon rains and even longer dry spells, the farm has yielded fruits and vegetables beyond what the land and its surrounding areas has ever seen. This verdant bounty and pockets of rain forests belies the fact that most of Hinatuan lies on limestone bedrock. The constant salty winds blowing from the Pacific Ocean, alongside the lack of access to fresh water has contributed to the less than ideal environment for agricultural cultivation and has restricted most farming activities to coconut and corn production. The lack of water source also discounts the possibility of livestock-raising. “In 2012, we decided to farm better with the assistance from various stakeholders. We made sure that every help we received would be maximized,” said Arsolino Cabilin, chairman of the Tagasaka Coconut Farmers Association (TACOFA). 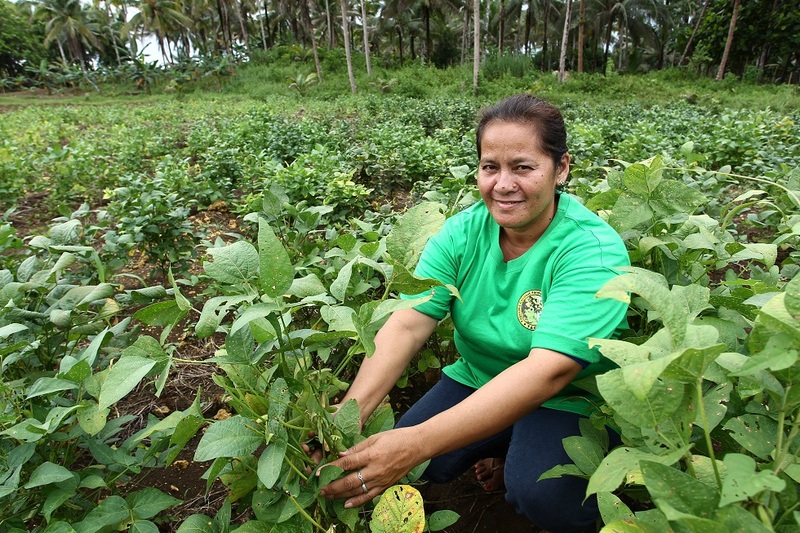 Dina Bayarcal shows off her soybeans in her portion of the 10-hectare TACOFA demo farm. With water easily accessible with the ram pump, Bayarcal and her group are rotating crops, from soybeans to cantaloupe to corn. In that same year, TACOFA became a recipient of the Coca-Cola Agos Program in partnership with Alternative Indigenous Development Foundation, Inc. (AIDFI). Through this project, the community was able to effectively shift to a more sustainable farming system – organic farming. The Coca-Cola Agos Program installed a modified version of a simple technology called ram pump that allows lowland water to be brought to elevated areas without the need for electricity. “The unpredictable weather made it difficult for us to veer away from planting only coconuts and corn. There were times when it would suddenly have three weeks of no rain, sometimes it would stretch for two and a half months. Vegetables could not hold it out that long without rain,” said Dina Bayarcal, a TACOFA member and former treasurer. “We would fetch water from the river and manually bring it to the farm and water the plants. That’s the only thing we would do the whole day during a dry spell,” Bayarcal added. 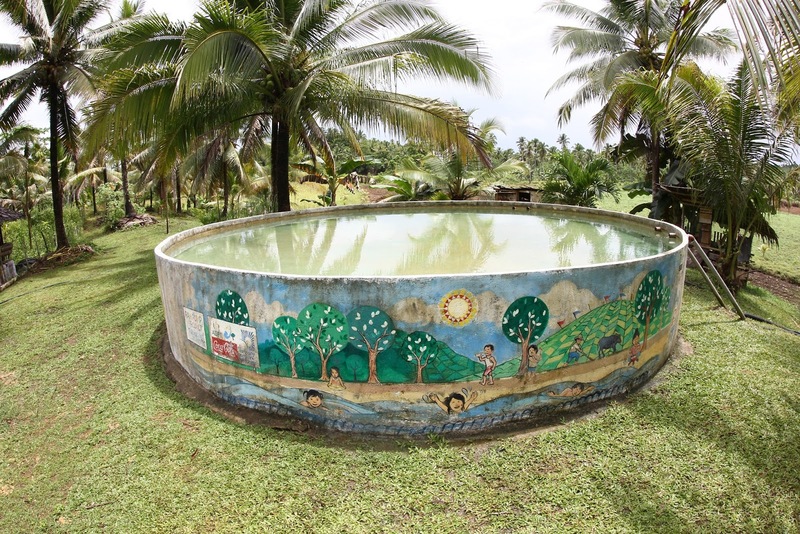 With the availability of water through the ram pumps, TACOFA was able to diversify its crops that now include cantaloupes, watermelons, soybeans, corn, coconuts, and other vegetables that are grown throughout the year. The association is even putting up a coco fiber rope and coir (coconut fiber) production facility. Today, TACOFA membership has grown to over 100 farmer members tilling and developing the 10-hectare land, tapping its water source from the Coca-Cola Agos Program. The organization even plans on leasing some of the neighboring farms in order for them to expand their production. 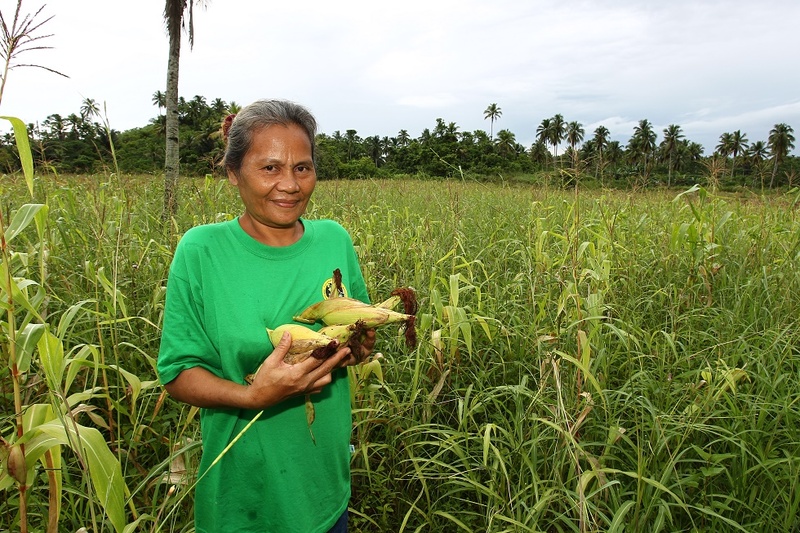 Arsocena Cabiling, farmer and mother, holds up harvested corn in their fields in Hinatuan, Surigao del Sur. This year, the association has completed its coco coir production facility that would enable them to produce ropes, fiber mats, and coir logs – natural and biodegradable ways of preventing soil erosion, and contour farming. Tagasaka’s coconut nurseries have even boosted its contribution to the Department of Agriculture’s continuing effort to rehabilitate the ageing coconut industry, with seedling mortality rates now reduced from 55 to 20 percent. TACOFA serves as the association for managing the Coca-Cola Agos Program after the ram pumps were turned over to the community. As the recipient organization and on behalf of the whole community, they are responsible for the maintenance and assurance that the ram pumps will continue to serve its purpose. Prior to the turn-over, TACOFA underwent workshops and orientations conducted by AIDFI on how to maintain and manage the ram pump as well as their natural environment. Two members of the organization also underwent hands-on mechanical training and have been certified by AIDFI to maintain the ram pumps for the community. Colorful murals are painted on the exterior walls of the water reservoir of Coca-Cola Agos Program. The organization serves as the unifying body for all household and farm recipients of the Coca-Cola Agos Program. They work hand-in-hand in taking care of the gift of water brought about by the installation of ram pumps for their community. They envision the project to serve the water needs of now and preserved for the next generations of TACOFA members.